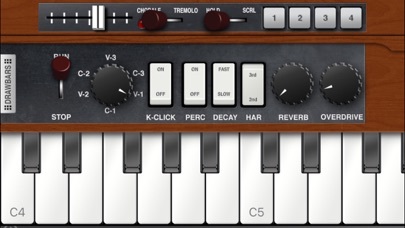 Pocket Organ C3B3 has a rotary speaker effect like the Leslie speaker, which adds amazing realistic character and spatial depth on your organ playing. 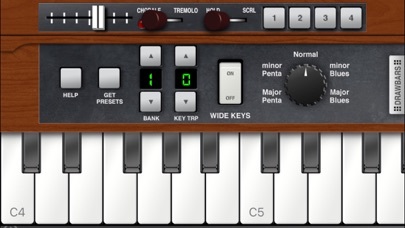 This effect can be changed to Fast (Tremolo), Slow (Chorale), or even Off (brakes). Visit our website to listen to the realistic and authentic sound! - Rotary Speaker effect can be changed to Fast (Tremolo), Slow (Chorale), or even Off (brakes). 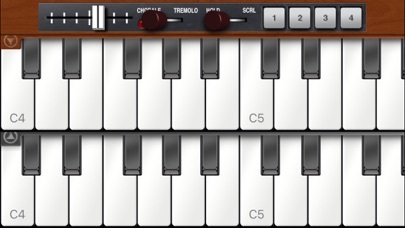 - Shake your iPad/iPhone to play spring shock (reverb crash) effect like Jon Lord (keyboard player of Deep Purple) or Keith Emerson (a member of the Emerson, Lake & Palmer, ELP). - iPhone's built-in accelerometer gives you amazing glissando effect control. 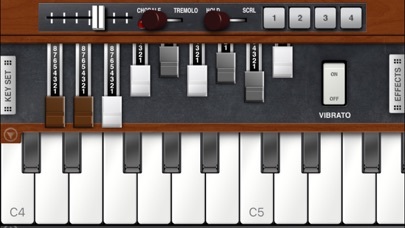 - You can add the User Memory Bank that allows you to store your own 20 patches (drawbars & effects settings) & Preset Packages with In App Purchase. 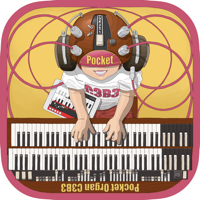 - Pocket Organ C3B3 is programmed by Shinya Kasatani, the creator of best selling iPhone App "PocketGuitar" and is designed by Junichiro Yamasaki of "Super Manetron".